Chickens on the cheep, cheep, cheep! Raising chickens on a budget on your back yard homestead! We got five fluffy baby pullet chicks this spring! Our daughter was thrilled, I was excited to have chickens for the first time in years and years, and my husband was fascinated by the whole process of raising a farm type critter. This was a new adventure for our little family! Alot of folks get those cute Easter chicks without a clue or thought of what to do with them. I got my hens as chicks so they would be friendly backyard pets. I chose the breeds for the dual purpose of being pets and good egg layers. We got three Barred Rock hens because they are both calm and very productive layers. We got two Aracauna hens because they lay Easter egg colored eggs and are moderately high producers. We had a chicken house that we found on an online yardsale set up in our back yard before we brought them home, although they had to stay in a big box under a heat lamp inside for a few weeks. We had fencing materials and a plan for making a ramp down from the coop into the little pen, which my hubby did for me when the chicks were big enough to need the space. If you want chickens yourself, do your research, make your plans for their long term care and prepare yourself before you bring them home! Feeding chickens could add up to a huge expense if you don’t do it correctly! For us, we spend about $12 on a bag of feed for our hens and it lasts about six weeks for our five chickens now that they’re full sized “teenagers”. However, the reason it lasts is because I save scraps for them every day, and have our 3 year old give them their scraps before I pour their feed in. We save things like the chopped up odds & ends from fruits and veggies, stale bread, crushed cereal leftovers, leftover plain pasta pieces, and anything else chickie friendly to chop up for them to gobble up. We also have a compost pile my husband and daughter sometimes dig up worms from to feed to them, and the two of them like to turn over large rocks and boards to collect grubs and worms to feed the feathered fowl as treats. These “extras” not only save us money on their feed bill, but it keeps them much healthier. A misconception alot of folks have that surprises me every time is that you need a rooster so the hens can lay eggs. You don’t. You only need a rooster if you want the eggs to be fertilized so you can hatch your own chicks. A rooster in the back yard would be loud and obnoxious. Hens are pretty quiet, just clucking most of the time with an occasional cackle, and are actually less likely to disturb anyone than having a cat. My mom got our first hens while we were living in a subdivision, and all three of the neighbors connected to our back yard loved them! You don’t need alot of time, space or money to keep a few laying hens. Just do your homework and prepare yourself before you bring them home, and you’ll do just fine. They’re cute, fun, teach kiddos responsibility, and the fresh home laid eggs are absolutely amazing and healthy. I loved raising chickens when I was growing up, and am thrilled to be able to share that with my munchkins now. Is anyone else doing some backyard (or full scale) homesteading? You might be interested in my creative hanging planters! Categories: Frugal Family | Tags: Aracauna, backyard farming, backyard homesteading, Barred Rock, budget friendly, chicken coop, chickens, chicks, country living, Easter, egg layers, eggs, farming, hens, homestead, homesteading, organic, prepper, simple life | Permalink. You love food, I love food, we all love food! I mean, who can help it? We’ve all gotta eat! October 24th is an extra special day in the world of food. It’s not only the official celebration of Food Day, but also the birthday of one of my all-time favorite food lovers- my dear ol’ Dad! It’s only fitting that he was born on the day we celebrate one of his most beloved things (other than his darling children, of course! 😉 ). He sure loves himself some good vittles! 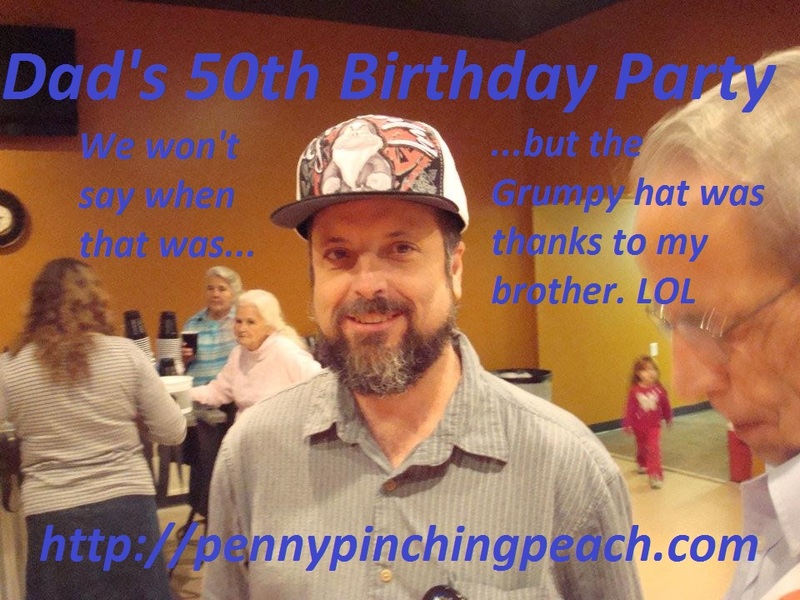 Love you and a big happy birthday holler, Daddy! Food Day isn’t just about any food. It’s about making an effort to eat real, healthy food and about the people who work hard to make sure these choices are readily available. It’s about encouraging families to choose more natural and less processed. According to http://www.foodday.org : In 2014, Food Day will have a special focus on food access and justice for food and farm workers. I just finally got my late autumn garden of kale, broccoli and butter lettuce planted a couple of days ago to give us a continued supply of some fresh healthy green veggies for a couple more months while produce is getting more and more expensive. I wanted to plant spinach, too, but I waited too long to start the seeds and couldn’t find the plants anywhere locally. I’d love to have more in, but life interfered with my larger plans for this year. 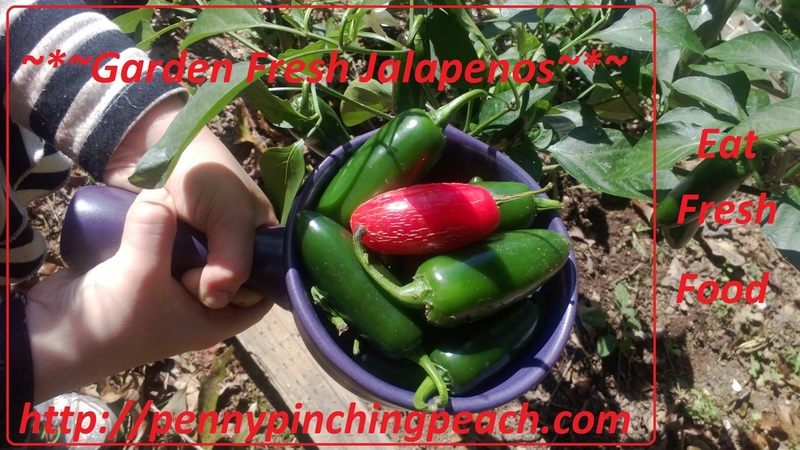 The only thing still producing well from my summer garden is the jalapenos you see pictured. They are doing amazingly well! 🙂 If you want to know how I made those yummy unfried poppers in the picture, just click the photo for instructions. What are you doing to make healthy food choices for your family? How knowledgeable do you think you are about things related to the growth and production of the food we eat? Take this quiz, and let me know how you did! http://www.foodday.org/food_literacy_quiz I took it, and got 12 out of 15 right. A couple of my wrong answers surprised me! Can you outdo me? 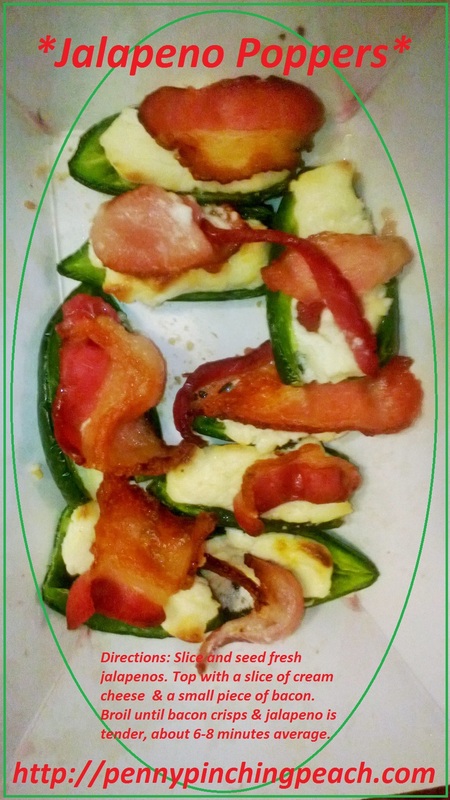 Categories: Frugal Family, Living Life | Tags: birthday, cooking, dad, diet, eating, farm, farmer, food, food day, garden, health, healthy, homestead, homesteading, jalapeno, jalapeno popper, prepper, recipe | Permalink. Freezing Your Own Cayenne Peppers! I always I try to stretch a dollar while feeding my family with healthy foods is to keep a garden and put up what we won’t eat while fresh for later. To be honest, I haven’t progressed to the point of having a humongous garden to provide limitless bounty to can for stocking a huge pantry of shelves I don’t yet have. I was raised doing it, but haven’t been able to do it myself yet as an adult on my own. This year I have a little semi raised bed measuring roughly 16′ by 3′, plus a few potted veggies. It won’t provide enough food to last us year round, but it does provide a large chunk of our produce for the spring and summer, plus a bit to put up for later. One of my favorite vegetables I put up last year was excess peppers. Since I don’t get enough of anything at once to make a big batch of anything, I tend to freeze things more than canning. I can always can most things later if I get enough of something frozen and want to make a sauce or jelly or some such delicacy out of them. I froze bell peppers and cayenne peppers to use in cooking. Preserving Your Own Bell Peppers! Wash and seed peppers, then slice and lay out on cookie sheets. Pop them in the freezer just like that. This step keeps them from clumping together in a big mess in your freezer bags. I left them in for about an hour, then got them out and tossed them into labeled freezer bags. I squeezed out all the air I could before sealing, then laid them flat to freeze. They should keep like this for at least several months. I still have a couple of bags left from last August, and they are fine & dandy. Which veggies and fruits do you prefer to freeze to keep them fresh & yummy? Which would you like to try freezing, but haven’t yet? Go see how I made some great diy topsy turvy style tomato planters! Categories: Frugal Family, Living Life | Tags: cooking, food, freezing, frozen, garden, health, homesteading, peppers, preservation, vegetables | Permalink.